As humans, I’m pretty sure we are hard-wired to compare ourselves to other people in pretty much everything that we do. Our parenting skills. Our work skills. And definitely in our fitness abilities and the way our bodies look. Whether it’s an actress on tv or the big screen or just your next door neighbor, it’s hard not to compare. But there are a lot of things that we don’t take into consideration when we are playing these comparison games. 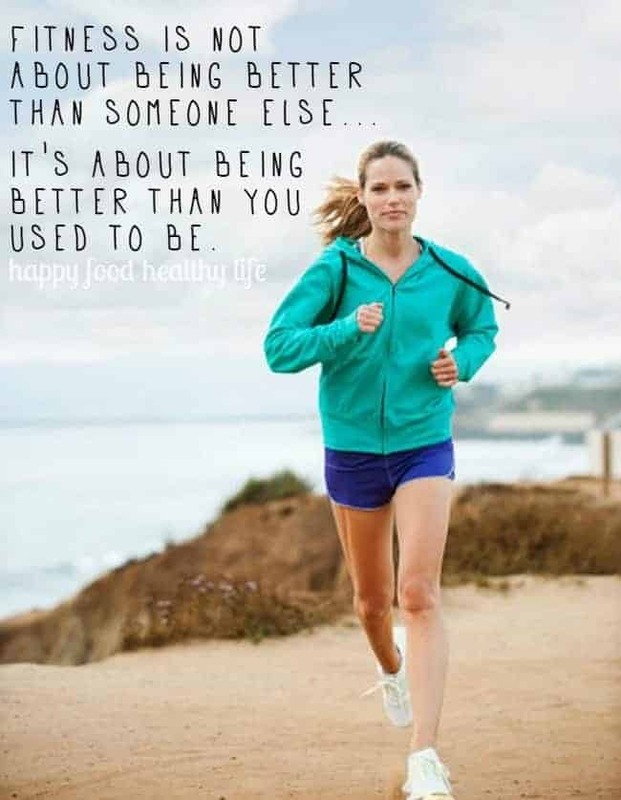 And comparing yourself to others is just going to hold your back from your true fitness potential. The super skinny girl at the gym – you may get jealous of her. But you’re not taking into consideration that her genes just made her that way. The one that can run for hours effortlessly on the treadmill while you can barely get 15 minutes in. You’re not taking into consideration that she’s been running since high school cross country. The girl who pushes weight around like the guys at the gym. You’re not taking into consideration the hours and hours she’s put into training with personal trainers. My point? You don’t know their journey. You don’t know what got other people to the places they’re at right now. And that doesn’t matter. All that matters is where YOU are at right now in your journey. Maybe you’ve seem some set-backs. That’s ok. Maybe you’re coming out of a long hiatus from the gym. That’s ok too. It just doesn’t matter. The only thing that matters is that you’re on your journey and your only goal is to be better today than you were yesterday. And next week, you’ll strive to be even better than this week. Your journey is going to look completely different than someone else’s. Letting yourself compare yourself to others will only make you feel like you’re not good enough and potentially hinder your abilities to push forward. So today as you make your fitness goals, I want you to consider one thing. What can I do today that will make me better than I was yesterday?? I love the idea of a Motivational Monday post. It’s nice being connected with you on the Utah Food Bloggers site. Cheers!